On last evening at my Urban League Young Professionals meeting, we did our introductions by stating our name and our passion – one of my passions is volunteering and helping people! 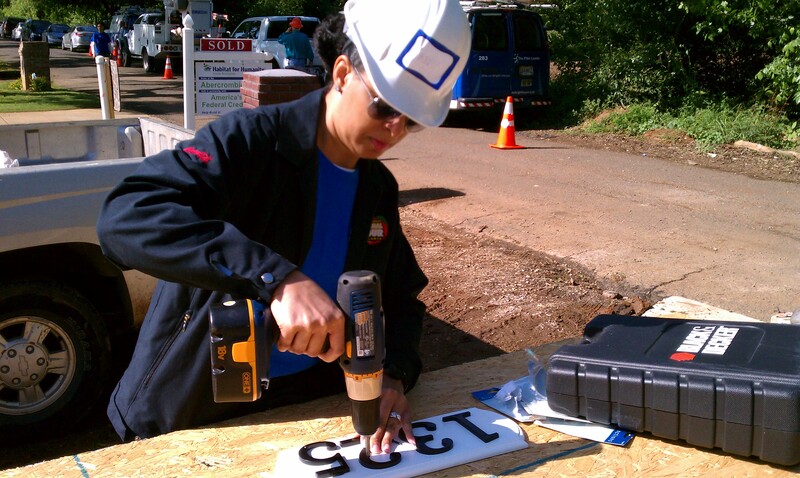 Last week I had the distinct pleasure of participating in a Habitat for Humanity project through my company’s Community Action Volunteer Team! The weather was perfect! The team was great! We had a very productive day, although tiring! 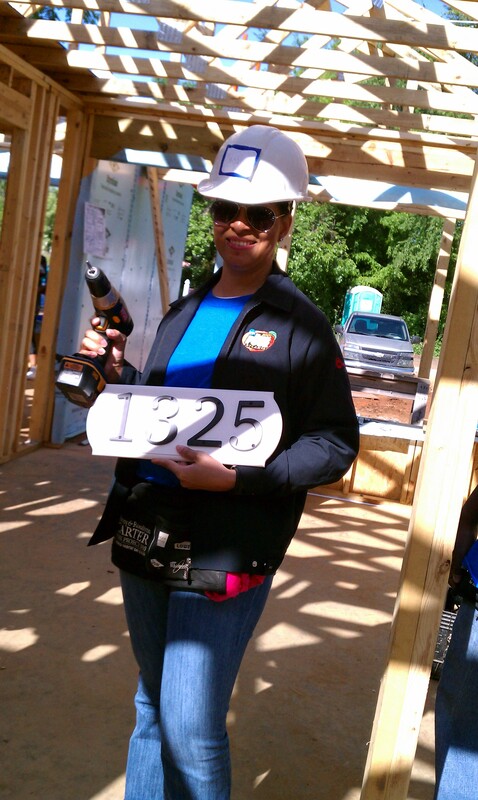 Habitat for Humanity is for such a good cause, and I really appreciate my company for soliting volunteers to put in a days work to make a deserving family’s dream of home ownership come true! Hard at work on the address! A girl with a drill! I WORK! 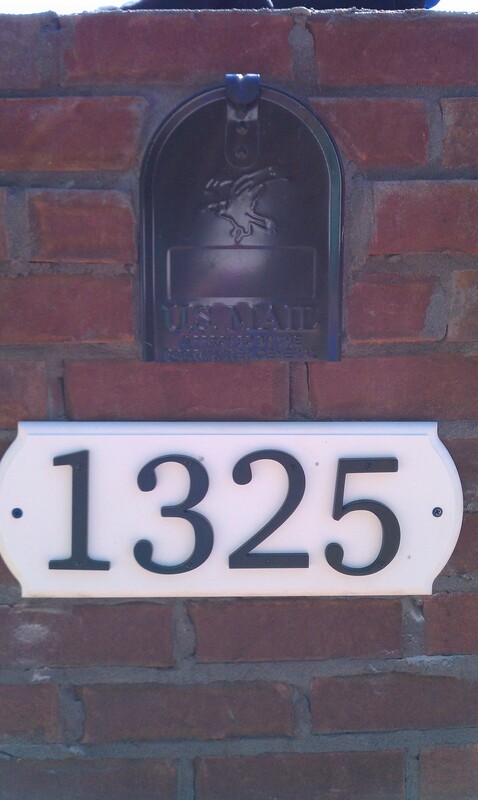 I made the mailbox look GOOD! I’m thankful for the opportunity to volunteer, whether on company time or my time! 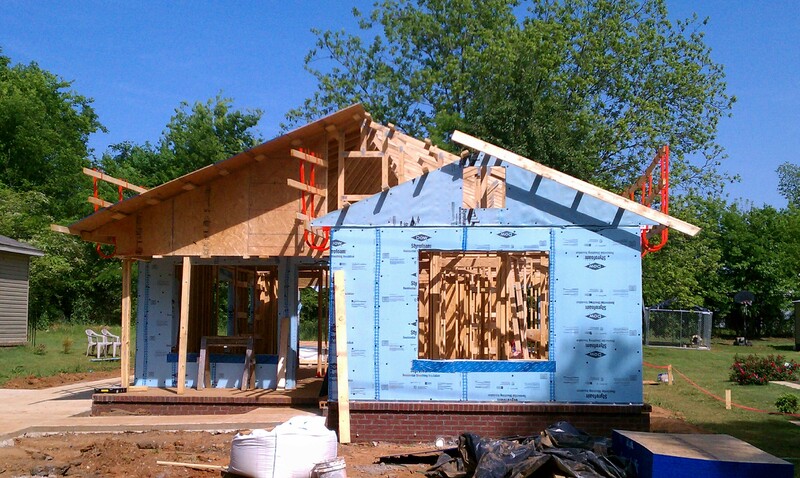 I’m looking forward to our fall Habitat for Humanity project! Do you volunteer? What are you thankful for today? This entry was posted in Service, Thankful, Volunteer. Bookmark the permalink. Go you!!! I want to get more involved with the community. We do a lot with our church but I want to do it with my family. How awesome! I could really use a new mailbox, so when can I expect you over? ?